A minimum of 49 Unmanned Aerial Vehicles (UAVs) operated by the US armed forces have suffered major crashes in US airspace since 2001, a worrying number considering the thousands of civilian drones set to flood American skies in the coming months. The total was compiled by the Washington Post, which used Freedom of Information requests to obtain the data, which includes only Class A accidents - those that caused more than $2 million dollars of damage. The real number of incidents and near-misses is likely considerably higher, but the Air Force and Army refuse to provide information for smaller accidents that did not require a public investigation. According to its own documents, the Federal Aviation Administration (FAA) is “incrementally” loosening drone regulations, allowing “safe integration” for drones, which currently predominantly operate in military airspace, and need special licenses to fly through shared airspace. Nonetheless, it estimates that there will be more than 7,500 commercial drones in US airspace by the end of the decade. According to internal Pentagon data, it also plans to launch its own military-grade drones from at least 144 sites by 2017. Both the army and the regulators are sanguine about the prospect of a drone-filled sky. “As we integrate unmanned aircraft into the national airspace system, I believe that the public expect us not only to maintain but to continue to enhance the levels of safety that we’ve been able to achieve for conventional aircraft,” Michael P. Huerta, the FAA’s administrator. But not everyone is convinced, particularly when risks concern flying certain types of drones or launching flights over populated areas. 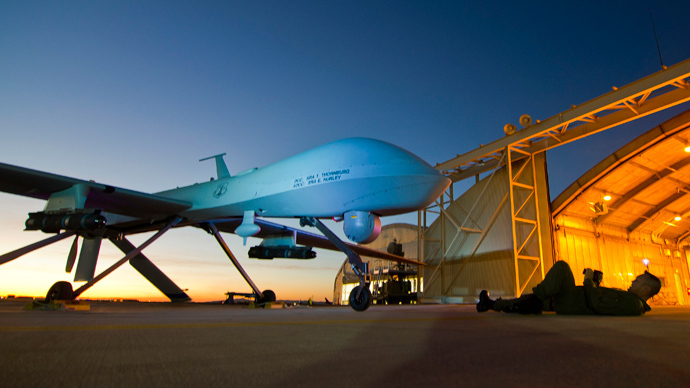 Most worrisome is the Predator, a legacy UAV that has not been produced since 2011. The US Air Force still operates 150 of them, with many of the craft expected to return to American soil, as the White House curtails military involvement abroad. “The problem is that nobody is comfortable with Predator. Nobody,” an unnamed pilot said during his debriefing interview following a crash in New Mexico in 2010. Even Frank W. Pace, the president of the aircraft division of General Atomics Aeronautical Systems, the Predator’s maker, expressed reservations. Although so far Predators have been restricted mostly to military airspace, the Pentagon wants to broaden their use for civilian purposes, such as monitoring fires, as was the case when a Predator was dispatched to Yosemite National Park last year. The Defense Department alone – presumably the best-qualified and most careful drone operator – currently holds over 160 licenses to use drones in shared airspace, double the amount at the beginning of the decade. “To me, it’s appalling that they’re flying them over urban areas,” said Ed Kinane, who heads a New York pressure group called Upstate Drone Action. The dangers stem from a combination of an immature technology, and poorly trained pilots. Firstly, the current generation of drones does not possess proper ‘detect and avoid’ technology that could prevent mid-air collisions, a particularly relevant factor when the operator is sitting hundreds or thousands of miles away. Secondly, drones rely on satellite signals. Excerpts from post-accident transcripts show that pilots routinely lost contact with their drone for seconds at a time, and often for minutes. Theoretically, drones revert to circling the air benignly when not piloted, but in practice, losing contact with the vehicle has often resulted in a costly crash. Post-crash reports also show pilots – most of whom have been transferred to the drone program from conventional aircraft – ignoring the remote telemetry, failing to react promptly to unexpected situations, and being treated as a “nuisance” by recalcitrant ground control officers. But whatever the concerns, for the Pentagon and the FAA drones are here to stay, and any crashes are wrinkles to be worked out. “Every year we continue to make improvements. And I can say unequivocally that the Defense Department will continue to drive down the accident rate,” said Dyke Weatherington, director of unmanned warfare for the Pentagon.